Here’s some free advice: listen to Black women. I SHARED MY THOUGHTS ON SPIKE LEE’S MODERN ADAPTATION OF, SHE’S GOTTA HAVE IT. 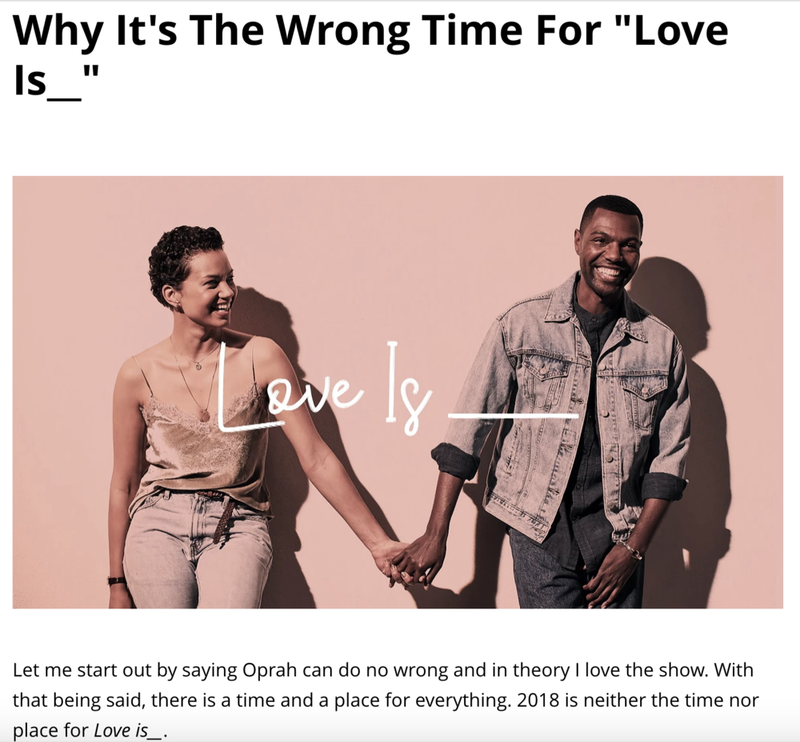 I PUT MY LOVE FOR OPRAH ASIDE TO GIVE SOME HONEST CRITIQUE TO THE NEWEST SHOW ON HER NETWORK. I ADDRESSED THE OFTEN OVERLOOKED ISSUE OF COLORISM FOR MEN IN RAP.